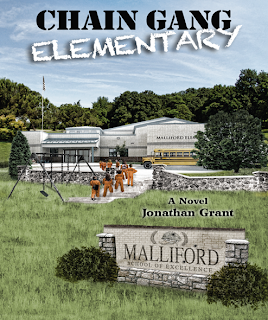 After a murder at Bonaire Elementary, Richard and Anna Lee Gray seek a good school for their son Nick in a safe neighborhood. Their search leads them to Malliford, a ”school of excellence.” When redistricting sends scores of minority students to Malliford, iron-willed Principal Estelle Rutherford declares war on kids to raise test scores and save her reputation. Dissident parents revolt, electing Richard to head the Parent-Teacher Organization, and tensions explode. 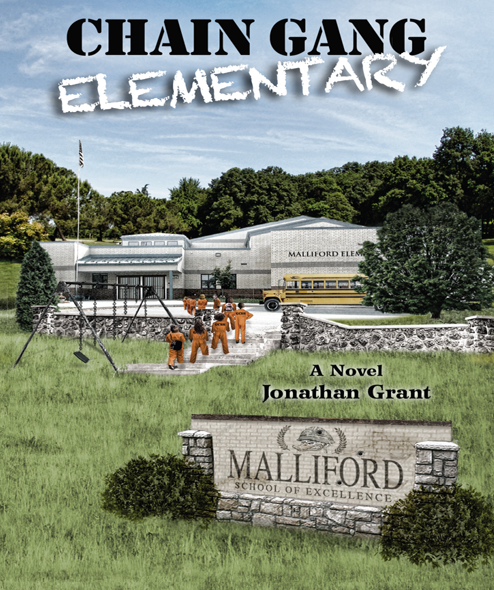 Welcome to Chain Gang Elementary, home to vast right-wing conspiracies, 3rd-grade gangsters, and bake sale embezzlers–where toxic childhood secrets boil over, reformers go stark raving mad, and culture wars escalate into armed conflict. Richard is a funny guy. Full of sharp wit. Someone who's trying to take the lemons life is chucking his way and making them into lemonade. He's a stay at home dad who does work, but as we all know, people that work at home are often disregarded as "unemployed". He takes care of his son while his wife grows more distant every day as she heads off to her job. On top of this he's deeply involved in the elementary school. Heading up the school newlsetter and being part of the PTO he deals with all sorts. The do-gooders, the high brows, the bigots and the over-achiever parents who's only goal is to have their children be better than the rest. This story revolves around the fact that the the 4 star school is under the "threat" of having a "lesser" neighborhood be redistricted into their school, which would of course (in their eyes) lower their standards and scores, making them a less desirable school. But surrounding this story are quite a few other stories that bring the characters to life. Every day events that have Richard dealing with not just the school and his dissolving marriage but other issues that must also be resolved. Within all these day to day issues, a dark and nasty secret starts to come to the surface. The book takes an ugly turn as hidden agendas....and hidden crimes come to light. Let's just say that adults who perhaps should not be around children...in any way... have their predilections threatened to be discovered and will do anything to keep them hidden. A nice hearty sized book with snap, snark and witty phrasing all the way through.